In reviewing Argo, I had an intense struggle over one aspect of the film. On the one hand, the film itself is thrilling and brilliantly made (things one doesn't connect to a Ben Affleck picture). On the other, it has an Anglo playing a Hispanic. No matter how I tried getting around it, the idea that the WASPy Benjamin Géza Affleck-Boldt could see himself playing a man named Antonio Mendez and do so convincingly is something I can't accept. Try as much as I could, I could never shake the feeling that Affleck still has a remarkably inflated opinion of himself: that he is so good an actor that no one would ever question the idea that this Bostonian couldn't possible be seen as a Latino. 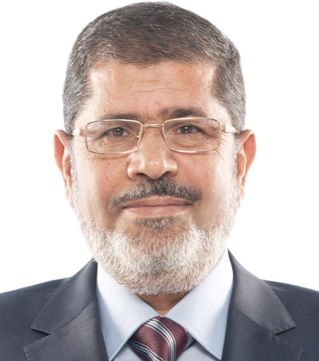 Mohammed Morsi, current President of Egypt. If one looks, one can see there IS a resemblance between President Morsi and Mr. Mendez (no offense to Mr. Mendez and no endorsement of Mr. Morsi). Oddly enough, I don't think Ben Affleck will ever be cast as the President of Egypt should a Morsi biopic ever be made, but one can never be sure. There are many things that are extraordinary about Ben Affleck as Antonio Mendez in Argo (while it's closer to the truth to call him Tony, I've opted to go by his full name to make a point). The most extraordinary thing is that there have been few complaints if any over Affleck's casting choice of himself as the main character. Even the Dean of Film Reviewers, Mr. Roger Ebert, made no mention of the nonsense of having a non-Hispanic play a Hispanic. 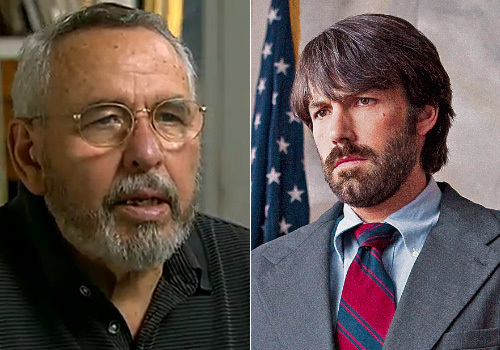 I doubt Mr. Ebert would have remained quiet if Affleck or Affleck's first choice to play Tony Mendez (one Brad Pitt!) had decided to play Cesar Chavez. This is Roger Ebert, a man who prides himself on his leftist politics, who trashes Sarah Palin at every opportunity. Yet for all his 'tolerance', he is oddly silent when it comes to Affleck as Mendez. Perhaps, Mr. Ebert thinks, there are simply too many Hispanic actors on television and film for us to note, notice, or care that a real-life Hispanic is played by a non-Hispanic. I wonder if he would maintain that silence if say Michelle Yeoh played Martha Washington, or if Meryl Streep played Madame Chiang Kai-shek, or if John Leguizamo played Charles DeGaulle, or if Jennifer Lopez played Rosa Parks. I imagine he would at least say it was foolish, if not downright wrong. However, Affleck gets a pass. Say what you will about Palin, but she at least apparently can tell the difference between Susana Martinez and Diane Kruger (who might play the New Mexico governor given Hollywood's rather erratic idea of what a Hispanic is. It might be acceptable for Hispanic Alexis Bledel to play Governor Martinez, but I picture America Ferrera in the role). This of course isn't the first time that a real-life story where a Hispanic has been metaphorically white-washed. 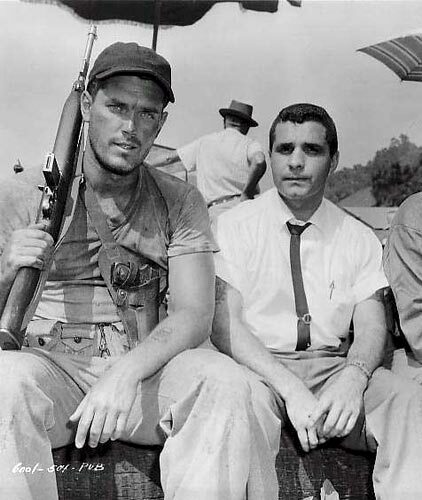 The even-WASPier Tab Hunter was Guy Gabaldon in the war film Hell to Eternity. Perhaps in 1960 the idea that a MEXICAN-American was a war hero was too impossible to accept. 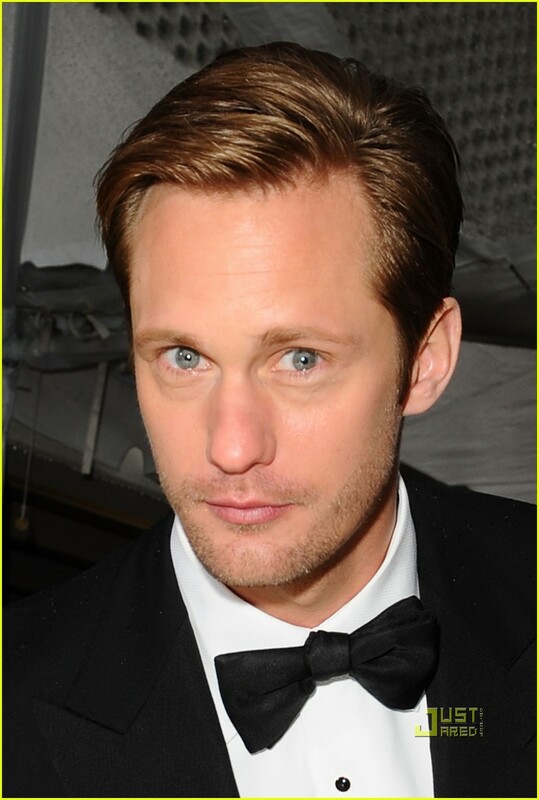 Therefore, to portray a 5'4" Hispanic from East L.A., who better than a 6'1" Anglo from New York City? Leaving aside the height discrepancy, it isn't surprising that Hollywood decided to alter reality to portray the story of a true American hero at a time when the civil rights movement was still growing, and certainly before Cesar Chavez and Dolores Huerta began the long march for Hispanics in general, Mexican-Americans (the largest Hispanic group) in particular. However, we are now in 2012. There are Hispanic Senators (Bob Melendez, Marco Rubio, and Ted Cruz from New Jersey, Florida and Texas respectively), Hispanic governors (Nevada's Brian Sandoval and New Mexico's Susana Martinez--the first female Hispanic governor in the nation), and Hispanics in all sorts of occupations, but somehow when it comes to real-life Hispanics, it becomes impossible to cast an actual Hispanic in a role where the lead character IS Hispanic. Of course, one could, albeit with great difficulty, live with such matters, but not when both real and fictional Hispanic characters are played by non-Hispanics. I was reminded of this at Christmas, when my cousin George and I were stuck watching In Time. We were perpetually amused at the idea that Justin Timberlake, Mr. SexyBack, was playing Will SALAS. All this time we figured the name Salas was Hispanic, but apparently either we were mistaken or Timberlake is really a Vato From the Barrio. Is it no surprise that Salas was a poor kid from the ghetto? Perhaps I shouldn't be perturbed that the antagonist (the evil rich time-thief) is named Weis (one letter short of being almost anti-Semitic). That on retrospect does raise my eyebrows, but again, the name Salas...even then it struck me as curious why that particular name was used. George made a valid point between the mutual chuckling at Timberlake As Salas (and SexyBack in general). He said they could have used 'Smith' or 'Johnson', but Will SALAS? Perhaps it is because in Hollywood, Hispanics make for the most obvious poor people. In Hollywood, Hispanics also have a small number of actors capable enough to play either a fictional character named Salas or a real-life character named Mendez. You can't get more Spanish-speaking than Justin Randall Timberlake and Benjamin Géza Affleck-Boldt. There's something to be said about irony. Charlton Heston, Academy Award-winner, Kennedy Center Honoree, star for over half a century, is derided for his portrayal as a Mexican in Orson Welles' Touch of Evil. While the film is held as a masterpiece (and it deserves its reputation), Heston himself is held in contempt for his performance. I agree up to a point: the make-up was horrifying (I don't believe any Mexican actually looked like THAT, especially being that when I look at myself, I don't look like THAT). However, it should be remembered that the make-up was not Heston's choice, but Welles'. Also, Welles had directed Heston NOT to have any kind of accent, and Heston, being the actor that he was, went with what the director told him (although later on he admitted he would have given the character a hint of an accent should he have been able to revisit this film). Charlton Heston is trashed for playing a Hispanic in Touch of Evil. Ben Affleck is praised for playing a Hispanic in Argo. Will someone, please, explain this to me, a "simple-minded Mexican", what exactly the difference is between a Hispanic Heston and Hispanic Affleck? This is what I ask: that Hispanics be cast in Hispanic roles about real Hispanics. I'm not asking that Edward James Olmos play Abraham Lincoln (although I think he would be great in the part). Roger Ebert I imagine wouldn't be amused, so how is it that he is when Affleck basically pulls a stunt like that. I ask that Hispanics also be given parts that go beyond the traditional Hispanic roles of maids, gang members, illegals, and so forth. I'd like to know that Hispanics can be lawyers, bankers, police, doctors, not just the ones who serve them or tend their children or gardens.